Welcome to Karen Jacobsen Fine Art ! Karen Jacobsen was born and raised as a child of the West, attending school between the San Francisco Bay area and Sun Valley Idaho. She earned a BFA from the University of California, Santa Cruz (go slugs!) and a Masters Certificate in Science Communications in 1986 also from UCSC. She lives and works in Idaho and finds constant inspiration painting the light and space of the open high desert, and spectacular mountains landscapes of her home. Jacobsen has a keen eye for capturing the beauty of her subjects, whether in a quick sketch or through repeated visits to a place to complete a piece. These paintings can be seen as finished, or can become reference for larger works to be created later in the studio.
" They serve as visual information, notes of color and composition gathered and organized. I ponder them, deciding if these little creations deserve to be made bigger, deeper, more epic." 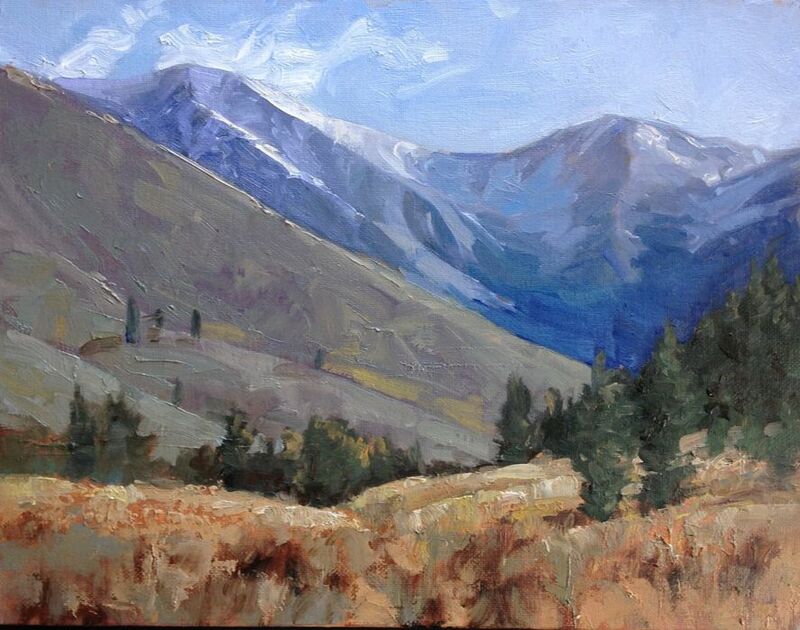 As a member of the Plein Air Painters of Idaho since 2007, Jacobsen loves the camaraderie that come with traveling and painting with a group of artists. " It's a wonderful interactive way of being around others, getting and giving feedback, and being part of something that could otherwise be a solitary experience." Thank you to all of you who have helped me on this journey. Please click on WORKS section to browse recent paintings.